“Regular check-ups and immunizations help to ensure normal development, healthy growth, and protection from preventable disease,” Proper nutrition, activity, and immunizations help kids avoid common and potentially severe diseases. 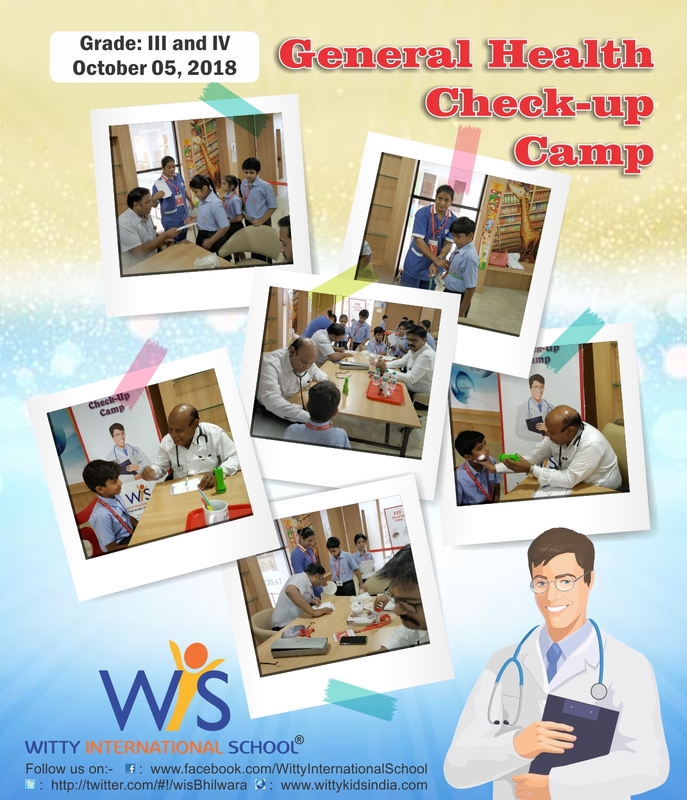 Many diseases-including obesity, diabetes, hypertension, and heart disease, can be lessened or avoided with the evaluation, guidance, and support offered by a child’s primary care practice. 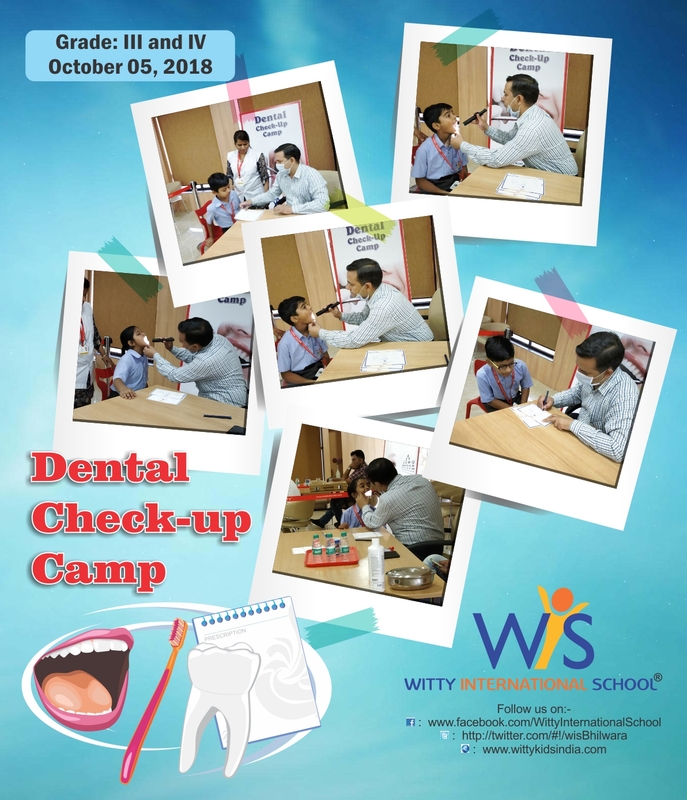 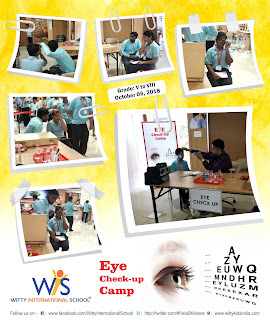 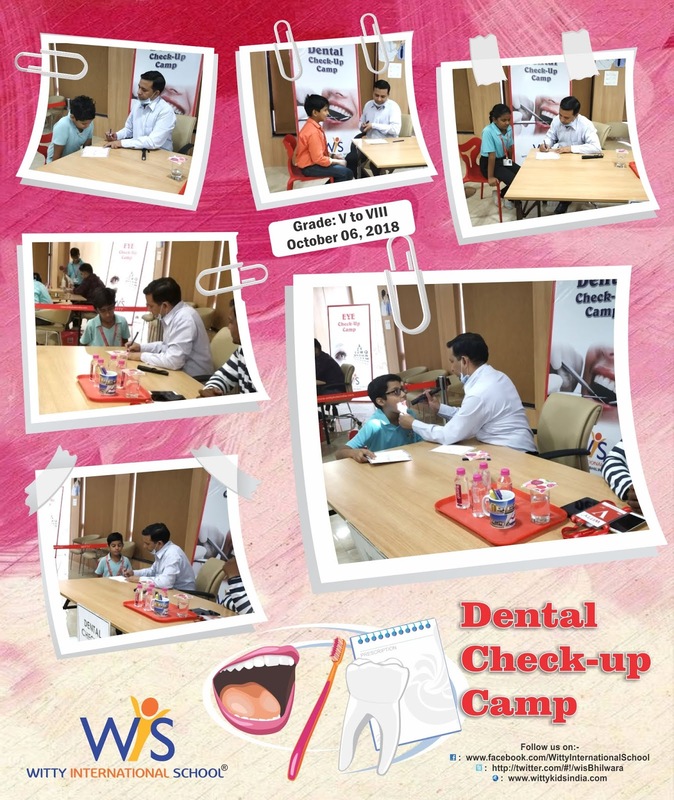 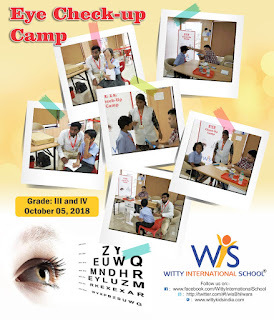 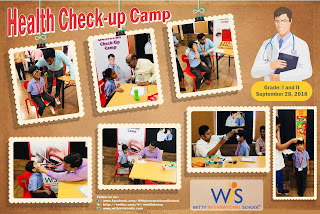 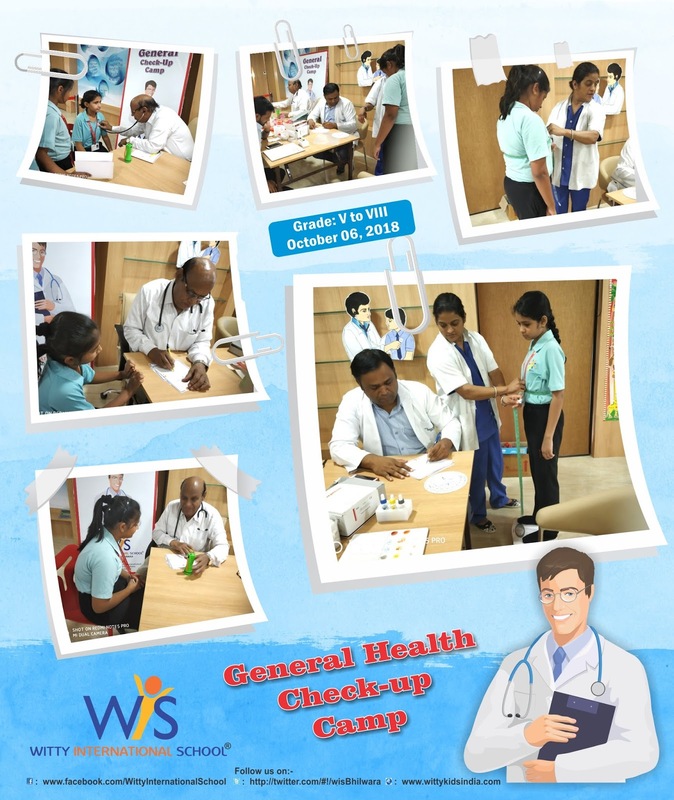 Witty International School , Atun road Bhilwara organized Annual health checkup for students of Grade I to VIII which included general check up examined by Dr. SL Chordiya , Dental check up by Dr. Piyush Choudhary, Eye check up by Dr. Aditya Sharma. 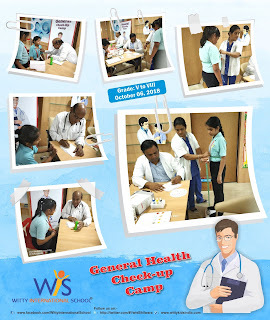 Doctors screened school children in school and offered consultation and prescribed medicine. 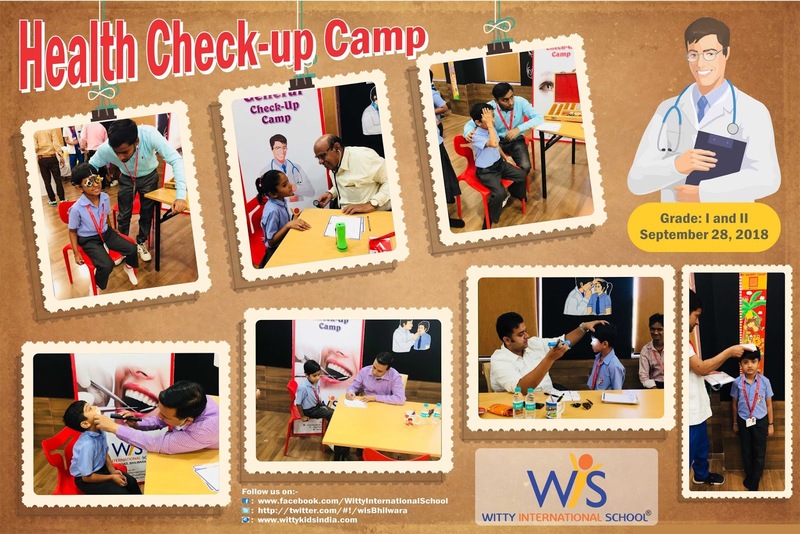 This service was aimed to diagnose and treat school children to foster a healthy body.